You are driving through town on your way home from a long day of work. A police officer notices your left taillight is out, and flashes his lights to signal for you to pull over. You’re just a few blocks away from home, so you just keep driving. You are driving on the highway when the police signal for you to pull over. You drank a few beers before you started driving and are worried that you may be over the legal limit. Instead of pulling over, you speed up and try to lose the police by weaving through traffic. Under California Penal Code 148(a)(1), it is unlawful to resist, delay, or otherwise obstruct a law enforcement officer or emergency medical technician from performing his or her duties. This is similar to evading a police officer because if you flee from the officer on foot or by use of any other means of transportation other than a motor vehicle, you can be charged with resisting arrest. Resisting arrest is a misdemeanor crime in California. If you are convicted of resisting arrest under California Penal Code 148(a)(1), you face up to 364 days in county jail, a maximum $1,000 fine, or both jail and fine. Under California Vehicle Code 2800.2, it is unlawful to willfully flee or try to evade a pursuing police officer while driving a vehicle with wanton disregard for the safety of persons or property. Reckless evading a police officer can be charged as a misdemeanor or felony in California. If you are convicted of misdemeanor reckless evading a peace officer under California Vehicle Code 2800.2, you face six months to 364 days in county jail, a maximum fine of $1,000, or both jail and fine. If convicted of felony reckless evading a police officer, you face up to 16 months, two or three years in state prison, a maximum fine of $10,000, or both prison and fine. Under California Vehicle Code 2800.3, it is unlawful to willfully flee or try to evade a pursuing police officer while driving a vehicle, causing serious bodily injury or death of another. Evading a police officer causing injury or death can result be charged as a misdemeanor or felony in California. If you are convicted of misdemeanor evading a peace officer causing injury or death, you face up to 364 days in county jail, a fine of $2,000 to $10,000, or both jail and fine. If convicted of felony evading a peace officer causing injury, you face three, five or seven years in state prison, a fine of $2,000 to $10,000, or both prison and fine. It is important to not that, in addition to the above penalties, any vehicle used to evade a police officer can be seized and impounded for up to 30 days under California Vehicle Code Section 14602.7. No willful intent. Intent is a key element in the crime of evading a police officer and one of the elements that must be proven by the prosecution for you to be convicted. California Vehicle Code Section 2800.1 specifically states that anyone who “willfully” flees or attempts to evade a peace officer is guilty of a misdemeanor. If you did not intend to evade police officers you should not be convicted of the crime. For example, if you did not pull over immediately because you were unable to do so due to unsafe traffic conditions or you reasonably did not know that you were being pulled over, you may have a successful defense. A skilled attorney will be able to challenge the police officer’s actions and determine whether the officer followed correct procedures when pulling you over. Improper police procedure. If the police officer did not follow the correct procedure to pull over your vehicle, you may have a valid defense. Say, for example, that an officer pulled up next to you at a stop light, made eye contact, and motioned for you to pull over. It was unclear to you what the officer meant by the gesture, so you keep driving. The officer soon flags you down and you are placed under arrest for evading a police officer. Due to the fact that the officer did not follow proper procedures, and that you reasonably did not know you were being pulled over, you would have a valid defense in your case. Insufficient evidence. VC 2800.1 requires that the officer was reasonably identifiable as a police officer. Identifiable signs include that the officer wore a standard police uniform, and that the officer’s vehicle has distinctive markings, a siren, and at least one red lamp visible from the front. If any of these elements are not met, your attorney may be able to use this as a defense in your case. Emergency. If you were involved in an emergency and did not pull over because it could have impacted your safety or the safety of another, then your attorney can raise this defense on your behalf. Say, for example, you were speeding to take your wife to the hospital who was in labor, and a police officer attempted to pull you over. You were worried about the safety of your wife and child, so you kept driving until you reached the hospital. This could be a valid defense. To help you better understand California Vehicle Code Section 2800.1, we’ve included some of the most commonly asked questions about evading a police officer that we receive from our clients facing these charges. Can I be charged with evading a police officer if I was not able to pull over because I was in an emergency situation? California law requires that to be convicted of evading a police officer you must specifically intend to flee or elude. If you were trying to get to the hospital because of a medical emergency for example, your attorney can use this as a strong defense in your case. I tried to flee from police and ended up being chased by numerous police vehicles. Can be convicted of multiple counts of evading police? California courts have established that a fleeing driver can only be convicted of one count of evading a police officer no matter how many officers give chase (People v. Garcia).3 This means that you should not have to face multiple counts of evading a police officer; however, you may face more serious sentencing if convicted, depending on the facts of your case. The officer tried to pull me over on a bicycle but I did not pull over. Can I still be convicted? Yes. According to California Vehicle Code 2800.1, you can be convicted of evading an officer if you are found guilty of evading an officer on a bicycle even if the officer gave a verbal command or hand signal to stop. Contact the attorneys at Wallin & Klarich if you have been charged with evading a police officer under VC 2800.1. If you or a loved one has been charged with evading a police officer, contact a Wallin & Klarich criminal defense attorney immediately. 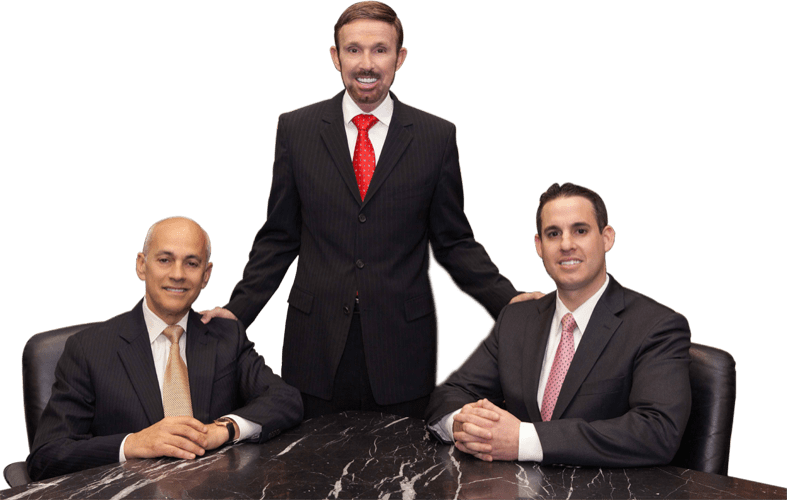 Our skilled attorneys have over 30 years of experience successfully defending our clients against misdemeanor and felony charges of evading a police officer in California. We can help you too. We will analyze the facts of your case and plan a defense strategy that will help you obtain the very best possible outcome in your case.